eBooks afford marketers the opportunity to target buyers at the middle of the funnel. They also allow them to show a more research-intensive, visually dynamic side of their brand. These benefits are backed by data: 63 percent of B2B buyers report they are willing to exchange their contact info for an eBook. That’s a sizable chunk of prospects that can’t go ignored, especially if they don’t view form fills as nuisances. We create and design several eBooks ourselves every month, but we’re always on the lookout for inspiration. We’ve compiled six of our favorite B2B eBook examples we’ve come across so far this year, and we’re sharing them with you to illustrate why they’re great and how you may be able to learn from them. 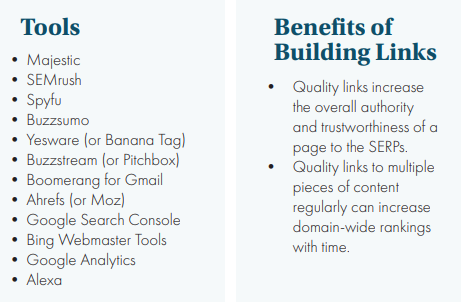 In this example, the team at Search Engine Journal dove headfirst into the concept of link building, attacking it from every angle and providing readers with simple takeaways. The size alone – 69 pages – speaks to how comprehensive this guide is, and we’re particularly fond of the super logical layout and sparse design. 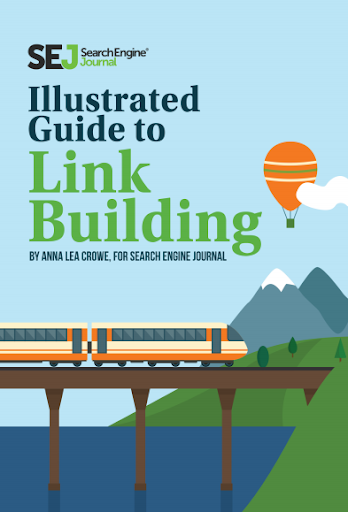 Sure, eBooks tend to be a bit heavier on graphics than a white paper or blog post, but for a topic as wide open as “link building,” you’re going to need a lot of text on each page to thoroughly explain every detail. 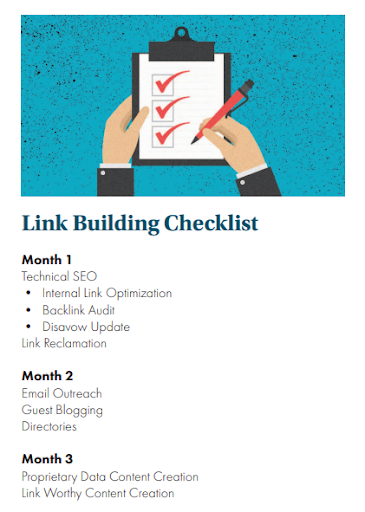 In addition to providing real-world examples of successful link-building tactics and their performance metrics, the eBook concludes by giving readers a 12-month link-building checklist. It’s safe to say SEJ did their due diligence with this project, and site visitors who provided their contact info probably received more value than they bargained for. Right from the get go, Optimizely draws in readers through sheer visual allure. 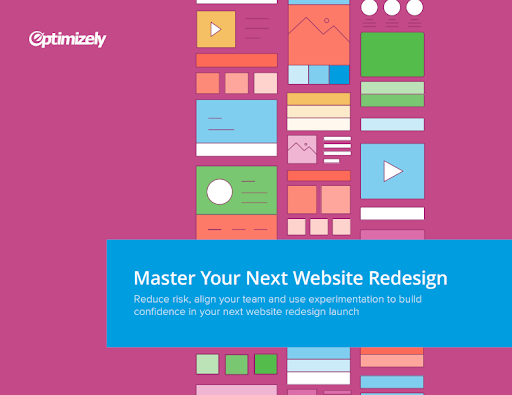 Opting for a design that features geometric shapes and near-pastel colors, Optimizely walks through the ins and outs of website redesigns. If you get a website redesign wrong, you’re potentially looking at tens or hundreds of thousands of dollars down the drain. For e-commerce sites, we’re talking millions lost due to poor UX, shopping cart abandonment and fleeing customers. This step-by-step guide highlights the interplay of setting goals, collecting analytics data, developing a visual identify, creating content and QA testing wireframes. It also integrates use cases into its narrative to drive home the point of adhering to the guidance Optimizely provides. This eBook example goes beyond best practices and demonstrates tangible methods for conquering the mountain that is a website redesign. LinkedIn is more than a professional social media channel; it’s a publishing platform and a B2B marketer’s go-to for recruitment, employee engagement and industry insight. So when LinkedIn writes an eBook, people listen. And for good reason. 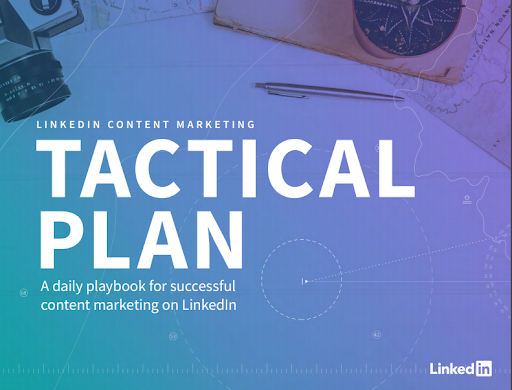 Readers are treated to 30 pages of a “daily playbook for successful content marketing on LinkedIn” directly from the mouths of the experts themselves. 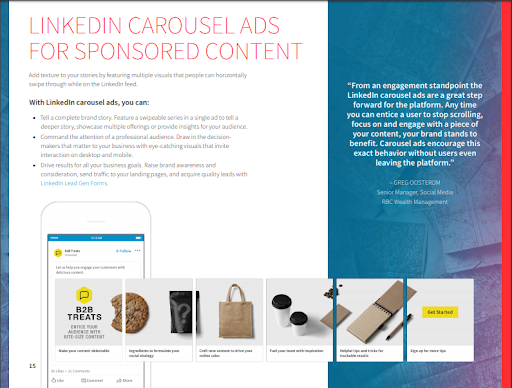 LinkedIn’s content marketing manager identifies six core concepts that readers need to grasp, and also explains how to optimize every facet of your channel strategy, the metrics to measure, the content to publish and a few tips to ramp up engagement. 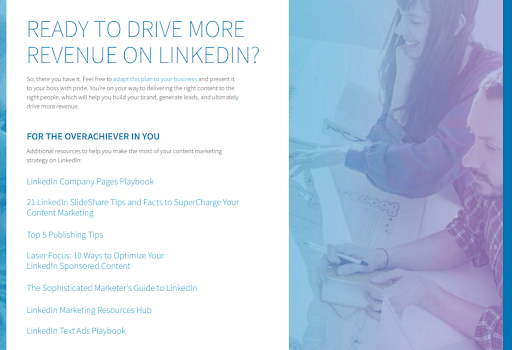 In both design and copy, LinkedIn executes on this eBook in a very authoritative way, leaving no stone unturned for readers. It also leaves readers with next steps in their pursuit of driving more revenue via their platform. Think with Google boasts a treasure trove of consumer data and advertising trends that can easily be repackaged into custom illustrations, charts and graphs. Using actual search data from web users, Google pulls out key insights about consumer behaviors for researchers, marketers and advertisers to use. 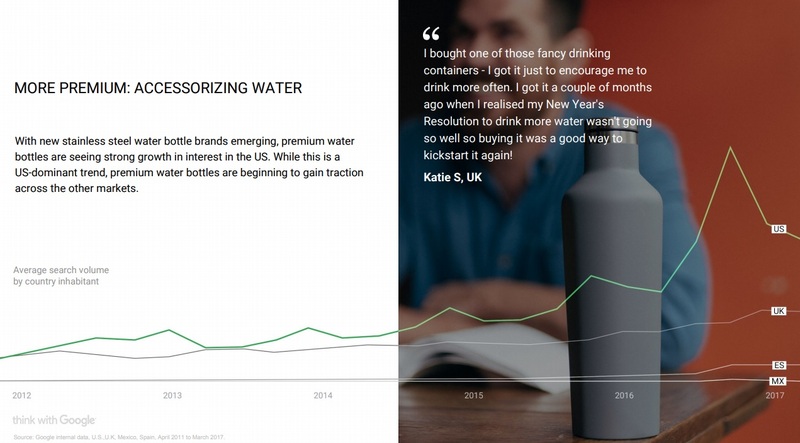 In this eBook about “people’s rapidly changing consumption habits,” Google homes in on Americans’ newfound obsession with cold brew, bubble tea and sparkling water. In 62 pages, Google identifies spikes in search traffic across four different countries and uses simple text overlays to convey the information. 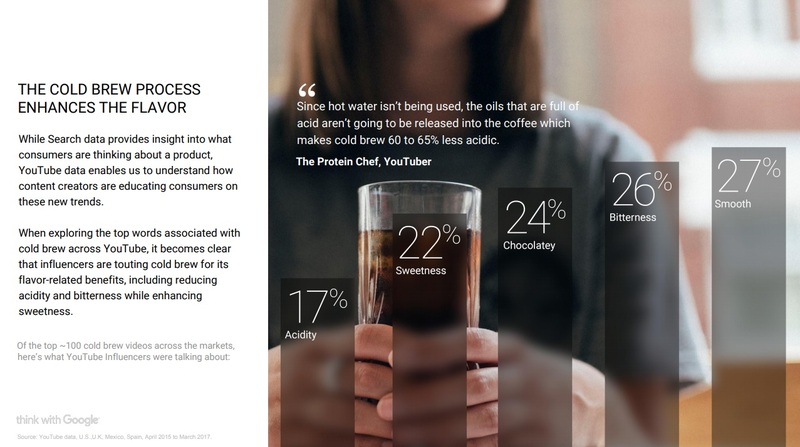 On this page, we gain additional context behind consumers’ cold-brew fascination via an easy-to-understand bar graph, a pull quote from a YouTube influencer and a sharpness-adjusted background image. A similar type of data visualization occurs on subsequent pages, except the search data is displayed in a linear Google Trends format. In this example, Google doesn’t really have much of an angle beyond being educational and informative, which is enough for the type of reader who arrives to the Think with Google domain; readers aren’t necessarily looking for services Google can provide them – just insights into ideas that may not have been on their radar. 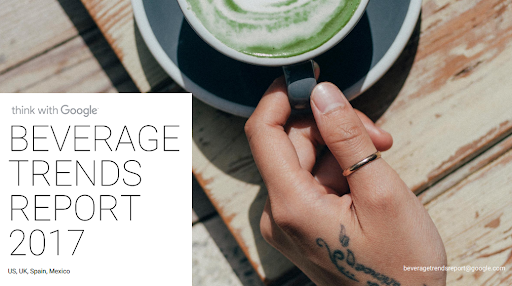 Unlike most conventional downloadable assets, this report is more top of the funnel, yet it could be extremely useful to marketers in the food and beverage space in a way that empowers them to repurpose these findings to target a middle-of-the-funnel audience. 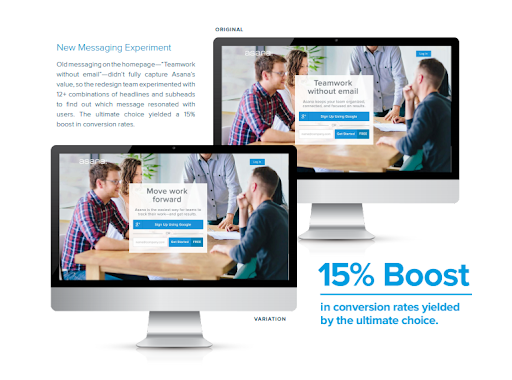 Pardot is a marketing automation powerhouse. And although its parent company, Salesforce, may be the keeper of all things customer analytics, data management and sales integration, neither brand lets these jargon terms obscure its playful, imaginative branding. 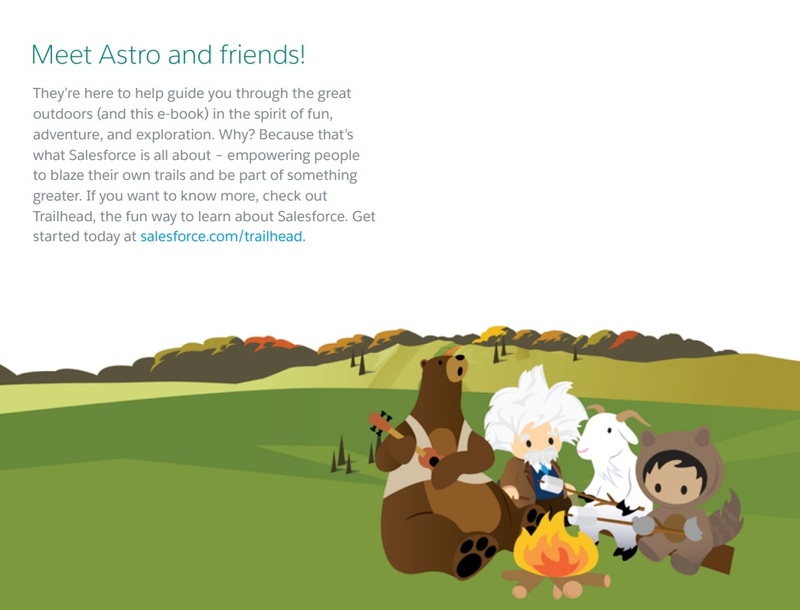 With unique character illustrations, expert color palettes and a touch of graphical worldbuilding, Pardot is more than just another B2B software company; it also strives to satisfy both creative and analytics minds through visually satisfying brand experiences. 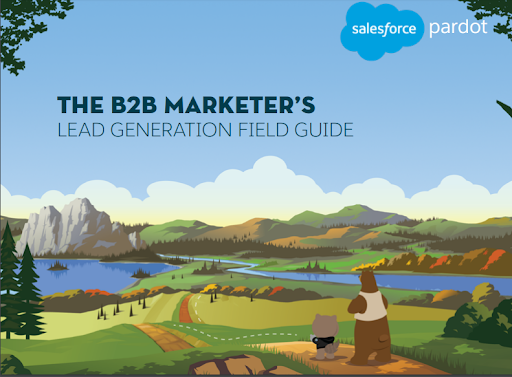 In this “Field Guide” for generating B2B leads, Pardot begins by introducing a gang of characters and explores its outdoorsy theme throughout the entirety of the eBook. While lighter on data points relative to other eBooks we’ve shared so far, Pardot takes a more narrative approach, as the topic itself is less about numbers and more so an exploration into a high-level concept. As such, more text per page makes sense. 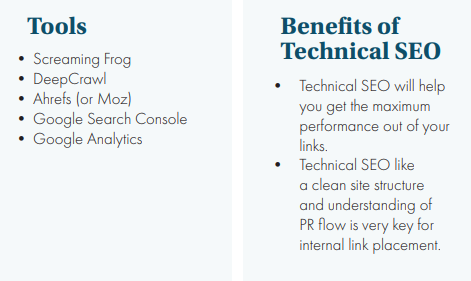 Pardot also requires a fairly extensive exchange of information: Site visitors must fill out a half dozen fields to gain access to the eBook, which better qualifies their leads but also asks a lot of readers. 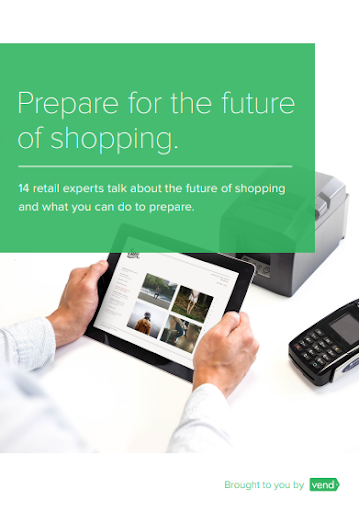 Vend, a cloud POS software provider, employs design elements modestly in their retail guide, opting for more of a white paper-style asset. We’ll still consider this an eBook because it serves the same purpose as other eBooks: being a lead magnet. 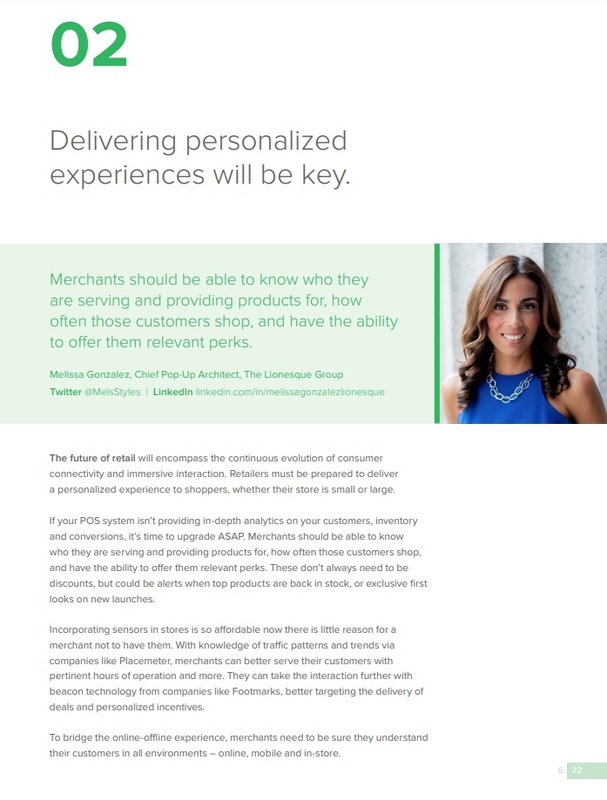 What Vend tones down in illustrations, it makes up for in personalized quotations, human imagery and logical flow of chapters, with each section highlighting a new retail prediction. What makes this eBook work is its consistent use of green paired with white space – not too busy, but not lacking in effectiveness. As marketing assets go, an eBook is a time-intensive project requiring the efforts of multiple creative departments. But more time doesn’t always equate to better results. As Vend shows, once you gather industry perspectives that speak to the overall arc of the asset (in this case, retail predictions from top players in the space), much of the work is done. From there, adding in simple design cues may be all that’s necessary to convey information in the best way possible. While other companies may have gone heavier on custom imagery, Vend allows industry influencers to speak for themselves, carrying the load of the eBook. And it probably allowed them to go live more quickly. These real-world examples of eBooks should hopefully help you envision your next eBook, either in design quality or breadth of topic coverage. While you can experiment with various layouts that reflect your brand image, best practice is to include a table of contents, appropriate citations and dynamic front and back covers. Not only do these features allow readers to jump straight to the chapters that align with their quest for information, but they also package together starting and endpoints for readers. At Brafton, our most effective eBook distribution channel is email, both to existing leads in our sales pipeline and new leads who’ve opted to download one of our assets for the first time. We also choose to produce gated and ungated versions of eBooks so we can increase the reach of our readership (via publishing an eBook directly on our blog) while simultaneously generating new leads through a form fill. There’s really no reason you should NOT be creating eBooks. Seriously. There’s no reason.